Today, Hansen became a U.S. citizen! I was so excited when Amy asked me to photograph his citizenship naturalization ceremony. I’m not sure if many of you know this, but I’m also married to a non-U.S. citizen. Andry is from Madagascar, and we’ve been going through the immigration process as well. He is eligible to apply for his citizenship this coming June, so it was so fun to get to experience and photograph a citizenship ceremony to see what it’s like. 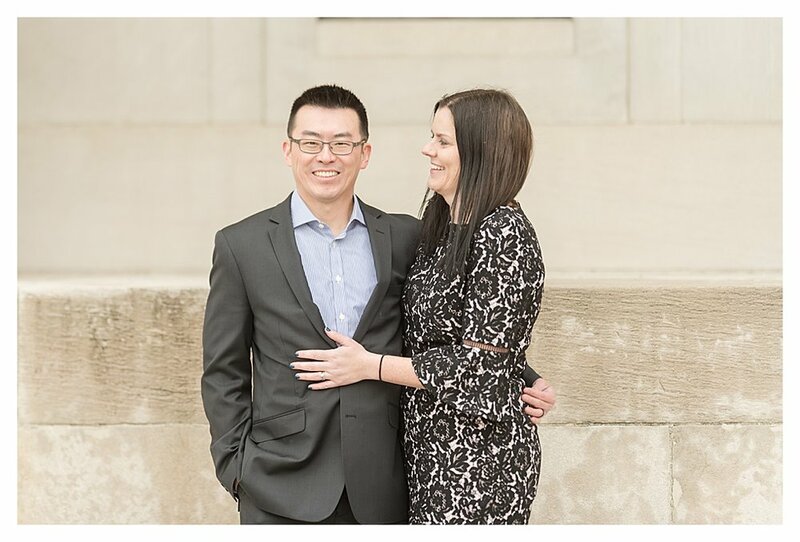 After the ceremony, we drove to the Central Library in downtown Indianapolis for a short couples session. 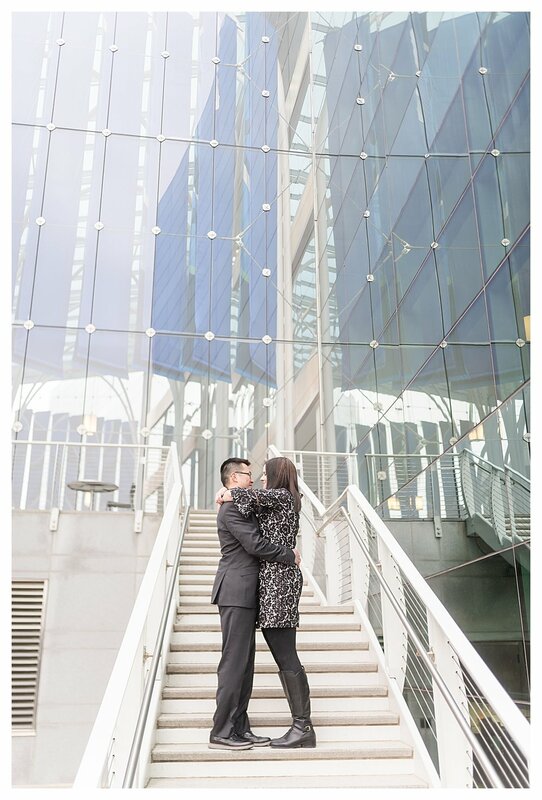 The Central Library is one of my favorite spots for couples portraits and engagement sessions. If you’re looking for location ideas, you can check out my full list here. It was nice that it was so close to the immigration office as well. I loved getting to work with Amy. She was actually my mentor at my first corporate job out of college back when I was a financial analyst. Ever since we both left that company, we haven’t gotten to see much of each other, so it was amazing to get to catch up with an old friend. Amy and Hansen are so adorable together. They’ve been married for about 4 years, so it’s always fun to get some new couples photos after you’ve been married for a while. Especially when you’re celebrating something exciting, like your husband becoming a United States Citizen! Amy and Hansen, I loved getting to celebrate with you two! I can’t wait to send you your full gallery! Congratulations again on becoming a United States Citizen, Hansen! Are you looking for a wedding photographer? I would LOVE to work with you! Feel free to send me a message over on my contact page. I can’t wait to hear from you!